Long-time readers may remember my saying that I was not brought up in a creative household. Expressing myself creatively was not nurtured. The first time I thought I might have talent was when a sixth grade art teacher approached my mother and suggested I take art lessons because the teacher thought I had something. (I didn't get art lessons). However, after the art teacher's encouragement, I started secreting myself in my bedroom, drawing fairies (a favorite subject) and intricate maps to go along with the fantasy stories I wrote to take myself away from the real world. I also shared in one post that I suffer from depression. It's a hard thing to talk about, and some wonder why in the world I'd share that on a public (VERY public) forum, but I'm not ashamed of it, and have come to find there are so very, very many people in the world who suffer at some point in time from some level of depression or sadness. The reason I bring these two subjects up -- creativity and depression -- is because I want to share a tip I learned from a wonderful therapist, and it's something I believe works for any age, and at any time. Exercise One: Draw everything you like to do. Everything you can think of. Whether it's reading, sleeping, traveling -- pie! -- clothes, birds, exotic cars, pickled peppers -- draw it. When I was at the lowest point in my life, I could only draw four things. That's so sad! But I look at life now, and I can fill that page up. It's interesting to keep an art journal and date the pages, and every now and then come back and draw a new page, and see what things you add, and what things fall away as new things take precedence in your life. You can buy this particular book here, and others like it by clicking here. I don't care if they're found in the children's section or geared towards kids -- they're AWESOME-fun books. The particular book above is more adult-oriented, I'd say, with more jumping-off points and levels of intricacy, and I'd highly recommend it. Complete patterns, join shapes with doodles, and decorate things like snails shells, Russian onion domes, and flowers. 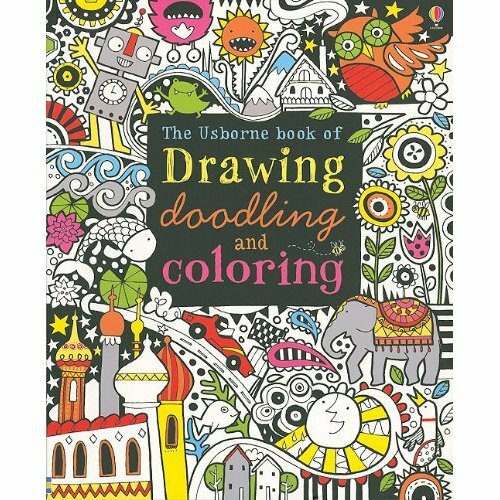 If you're not quite up to Zentangles, this sort of book will really bring out the artist in you. Not only that -- it's soothing, because you can just color, too! I hope this has been a welcoming, helpful, and enlightening post for you, and I encourage you to search out these books in the children's section of your local book store SOON! Like you, I was brought up in a home that did not encourage creative thinking. My parents saw things in a certain way (this included people and ideas too), and if we deviated from it we were quickly put 'back on track'. I was allowed to create, but only within their perameters. I'm glad you share so much with us. If your openness can help even just one person, then you have done a good thing. I used to doodle all the time when my kids were young. Now I wonder why I ever stopped. It can be so fun! I have found that a lot of very creative people tend to have episodes of depression. Though I've never thought of myself as truly artistic I've known those really down days (some times weeks or even months). Someone once told me that they though people who really cared about all things (like people, friends, family the world, recycling etc.) tended to get depressed more easily since they felt things more deeply than most. Perhaps there’s so truth in that. Hi Miss Lori,i also have bouts of depression,chronic pain will do that to you, it comes and goes creating jewelry really helps. I'm not much of a drawer but i think i'll try... i see myself drawing a jet black brand new Camaro travelling to meet all of my blog peeps to talk & share coffee & pie, then maybe go shopping for some amazing clothes,that don't fit cause i ate too much pie, but i can draw myself skinny so they fit "hee hee" then maybe eat a jar of pickled peppers while bird watching in the rain forest & we'll all be so pooped put i would draw us all doing my next favorite thing sleeping in a really cool pimped put tree fort in the rain forest with some hot, tanned, handsome fellas fanning us to keep us cool.....ahhhh i feel better already.You are always such an inspiration at just the right time!! 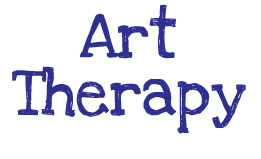 Oh yes, art as therapy is brilliant. It is using a part of the brain that heals and helps...even if it is only 4 things that you draw over and over. Art can be colouring with crayons in a book or doodling or using the books as you've suggested. It can be clay or play doh and the fact that many of these great options are found in children's sections speaks volumes to me. Why? Because as children we are at our most creative and receptive to what is around us. We find joy in the colour in the texture and the feel and we make purple trees and green people...because we express what we feel. Very, very therapeutic! What I love about your story is twofold. I love that even though your parents wouldn't pay for you to have art lessons, you carried on with the art where so many might (and maybe even would) have just dropped it. You didn't let someone else's no become your "no". The other thing I love is that you speak about depression and acknowledge that it is very common and not to be hidden or ashamed of. Most of us will at some point experience sadness or grief and sometimes it becomes more pronounced and longer term than we might like. But there is help and there are outlets and you inspire so much because you are so deeply honest. A rare gift. Maybe that doodle book would get me going again. You will be amazed at how many people go through depression and don't talk about it!! I have felt very depressed at some points in my life, and you will think that now is one of those times just by seeing my circumstances, but I can tell you that this hardship that I am going through now has opened my eyes at so many wonderful things and joy has filled my heart. I will not deny that as a Christian I believe that God has done a wonderful job, but I have always been a Christian and even though God has been always by my side, it had to be me who took decisions and the steps towards a life full of joy. I know that sometimes you read my blog, and you may have read that art, in any form has always been a therapy for me, and that when last September I decided to take on seriously on this jewellery and enamelling business I didn't know what was laid ahead of me, but God did. and it has been wonderful!! By the way thank you for your support, as you with many more bloggers have been part of this great therapy and I didn't go insane. A big hug fro Spain. Thank you so much for sharing your story with us. 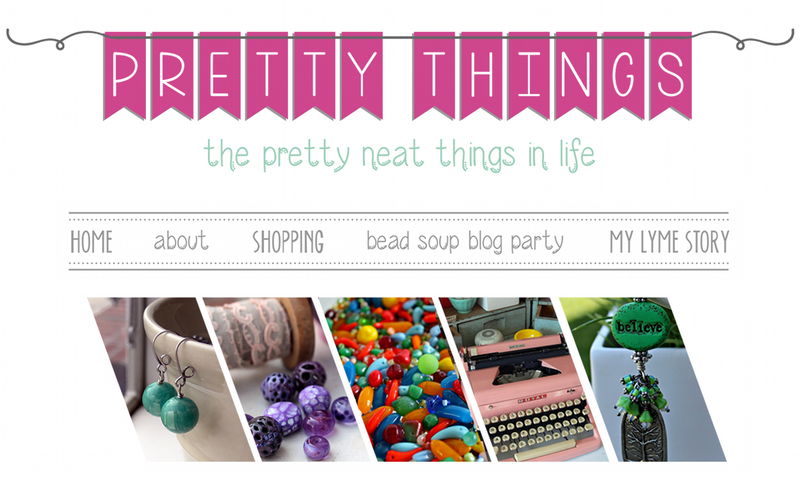 I grew up in a creative but also critical home, and it has taken me 45 years to really feel comfortable calling myself "creative" -- and much of that comfort has come from reading blogs like yours! I've also struggled with depression since I was about 13 and seem to be coming out of one now (had to up my meds a bit), and it definitely takes a toll on creativity and inspiration. Being part of a creative community, including an online one, has been a lifeline for me. Again, thanks for sharing, now as always! I adore reading your blog, Lori. You are so genuine.The beauty of your post last Memorial Day really touched me. After reading today's post, I realized I owe my parents a special thanks for encouraging all of my artistic endeavors. Thanks for helping me see a positive aspect to my inherited tendency toward depression. I added the doodle book to my Amazon wish list. Lori, you are an amazing woman! You are so talented and creative! Thank you for sharing this post with us. I haven't been drawing, but I think that I will again. I can safely say from personal experience that giving your creativity free reign is powerful therapy for mind, body and soul. Thank you for sharing. Your posts are so insightful. I find my jewelry making therapeutic and calming. I might just check out the doodle books. Enjoy your weekend. Thank you for sharing this bit about yourself. I like the idea of a doodle book. I picked up a zentangle book for my daughter and have fun doing those myself. And I think that it is very cool that you are willing to share this personal side. You might help someone out! 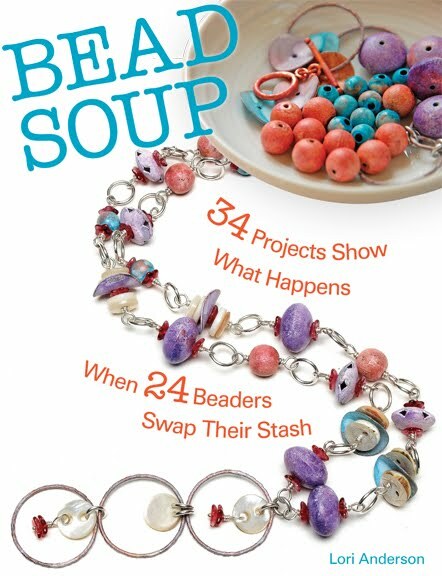 Yep - I think I need one of those books - just don't feel like making beads these days. I know it will pass, but hope it is soon. 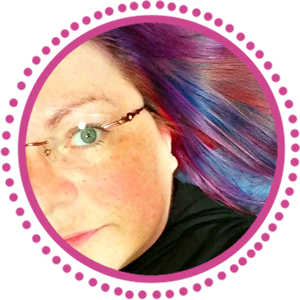 Great post Lori and thanks for being one of the folks not afraid to say they have a mental illness. I have suffered with severe major depression all my life. I also ways know I might be getting depressed when I don't want to create anymore, and I know I'm getting better when I finally do. Two other items besides the great ones you mentioned, that are easy on the tired and foggy brain, are coloring books of mandalas and creating collages, cutting out items and words that have hopeful meaning to you. I used to feel guilty when I felt depressed -- like I was doing something wrong. Then I went to a different (and truly people-oriented) doctor (a D.O., not M.D.) who said, "You have depression." Not you are depressed. He spoke of it as he would of measles. The fact that I had depression instead of that I was depressed changed my whole way of thinking about this -- as a disease instead of a personal failing. I know you know better but I was pretty old before I learned that! He was a great doctor! This is an awesome post. And that book really does look like fun, I'm checking it out on Amazon right now. I love fun things like that. Great post, Lori. I recently started doing some zentangles. It is amazing how absorbing and calming they are. I think they help me focus my mind. I have ADD, so that's something I need. I find that when I have depression one of the best things I can do is something creative. 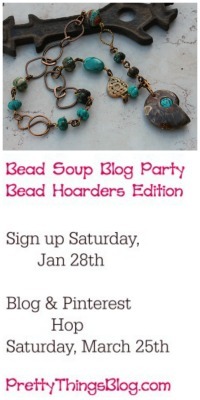 Oh, and I read an estimate somewhere that said about 1% of readers will comment on a blog post. Although I don't suffer from depression as such, I do get fed up when I loose inspiration occasionally as we all do. I can feel for you, I have known people who do suffer and I am sure creating and writing does help. I can't imagine a life without art of some kind there are never enough hours in a day to try everything I would like to! My parents did not really understand my great need to express myself in an artistic way and tried to push me into things I did not want to do when I was young, which made me rebellious and very unhappy. I promised myself if I ever had a child I would not do the same and my daughter Lara has always been enouraged to express the artistic side of her nature in fact she is an artist and takes comissions for both fine and cartoon animal and fantasy art and small clay sculptures she has also written a book yet to be published, she does suffer from mood swings a bit though! Zentangle is supposed to be wonderful for relaxing and you don't need to be able to draw either I am going to give it a try soon! Lori you are so wonderful for sharing with us. Depression is part of my life as well. Unlike your bravery I keep it to myself. Haaaa until now. I tend to fade away until I feel better. The tips are great thank you. I was brought up in a very creative home, but depression runs through both sides of my family. I lost my confidence and my creative spark early and it's taken me 40 years to get it back. You had a spark that didn't dim- you drew anyway. What a brave little girl. I will most likely be chemically dependent for the rest of my life, but it helps me get out of bed each day and that's a start. Thank you for your honest posts and for doodle books. I'd never heard of them and must have one! Thanks for sharing... I have always said that my artwork is my "drugs and alcohol"... and drawing and doodling are my favorite ways to destress. Depression is difficult but can be helped. Been there too. Hi Lori, thanks for being open about your depression. I too have depression and have probably had it all my life. As a clergy spouse and living in a fishbowl, I have decided to be open about it instead of trying to make a brave face. It is better to be genuine, I think. Even now I can conjure up some of my favorite memories from childhood & the smell of paste, the texture of light brown, grainy paper, the feel of small scissors in my small hands & big fat crayons that I would peel the paper off of, comes back with such joy...it makes me smile. Some of the worlds most creative minds suffered from depression. I agree with one of your friends when she said maybe because to create you must feel more, see more, care more. I take the HAPPY pill & it works for me, but maybe I need to grab up a few of my Grandsons colored pencils & just DRAW!!!! I think it's immensely brave to put so much of yourself out there. I know that I appreciate it, and so does everyone else! I too did not grow up in an arty family. I'd say it was neither nourished nor discouraged. It was my own thing. And looking back I have actually had a fantastic drive in that area all through my life. It has been a necessity for me to be active in the arty field. Not a choice. I understand that now. It is so fascinating to hear people's life stories and how and why things have turned out the way they have for them. I really liked what Sally Anderson said about that doctor saying "You have depression", not "You are depressed". That was amazing I think. It's exactly what you need to hear when you are at the bottom. Coz you do feel so guilty, and faulty. I'll keep that one Sally, for the rest of my life. Thank you! thanks, lori. I suffer from severe major depression. I'm on major meds to regulate it. honestly, I shouldn't be alive today. when I'm down it's all I can do to get out of bed, much less actually create. and yet I know that's the best kind of medicine. thanks for the doodling idea. I used to doodle all the time but haven't in like ten years. 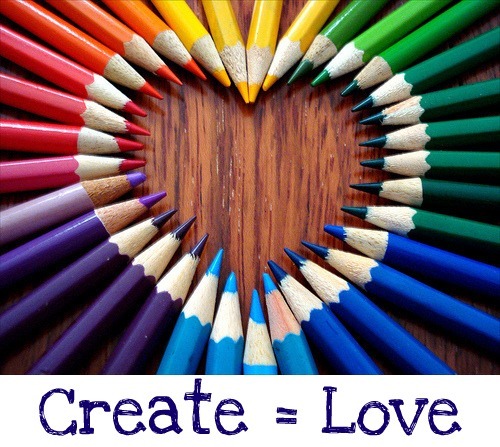 We don't create because we "like" to. We create because we "have" to. Even if that means days without sleep because we are in a creative craze. Or having to keep a sketch book by your bed when you wake in the middle of the night with an idea that you have to get on paper before you lose it. When life gets too busy, or our people keep us from our studios, or when we are having bouts of chronic pain that keeps us from our art, or what ever other things keep us from creating, heck yes all that sends us into bouts of depression. Because for us artist, not being able to create, is like taking the oxygen out of the room. As always I enjoyed how real your post is. You are certainly fearless when it comes to sharing the darker parts of life. Thank you for sharing this, Lori. That is so brave and I'm sure they are so many people out there who suffer they same and feel comforted by this. It is terrible that we live in a society in which those things are not addressed. I grew up with a crazy single mother. I think creativity kept me grounded and gave me an escape. I loves doodle books and the last one I got was all doodle alphabets! Great post, Lori! I, too, suffer from depression and it runs in my family. I read some of your comments and I have to agree, creative people are often aflicted with depression. I know that's certainly true of me. I create to keep grounded. It really is a soothing therapy, a release, if you will. That and jogging. I never got any encouragement in the department of creativity either, in fact I'd often beg for art lessons and singing lessons to no avail., but I had an inner passion, an inner deeper need or hunger....and I'm feeding it to this day. Your post was honest, and powerful. It's the courage of women like you that make it easier for others to accept who they are. Thank you! I so agree, creation is good for the soul. :-) That is one of the reasons I am always encouraging my husband to play his music when I see he is struggling... I know how the music touches him, and helps him find his way out of a funk. Also, I just wanted to say thank you for your comment on my blog. I appreciate your kindness and prayers. Great Post Lori!! I am walking a very similar path and I too have come to accept my depression as a medical condition and treat it as such. i also know that without my own art therapy I would not be doing as well as I am!!! On wards and Up wards Sista!!! !